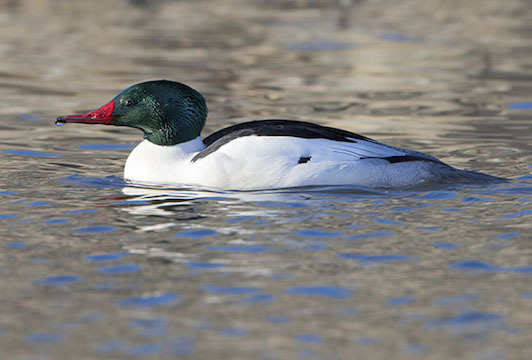 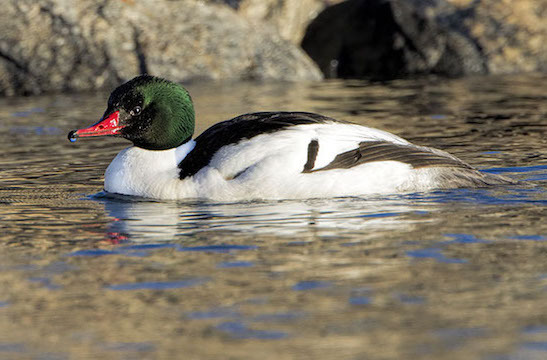 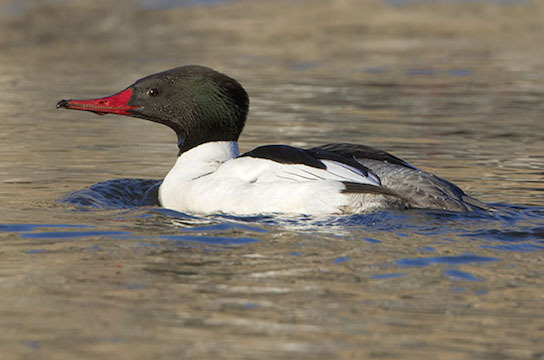 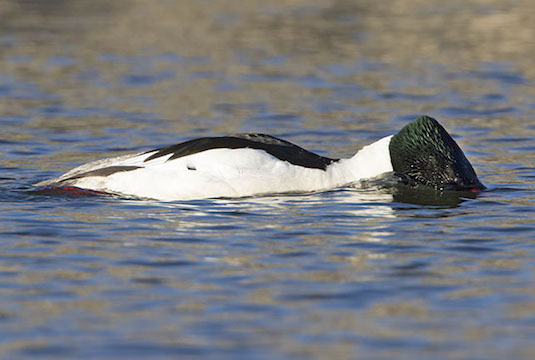 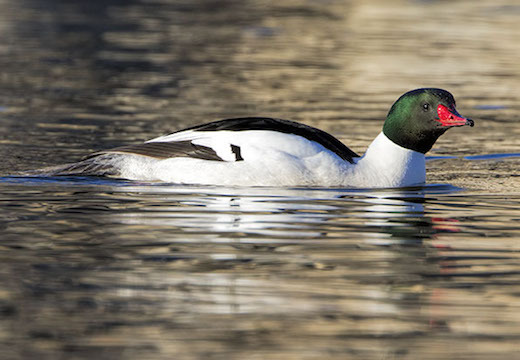 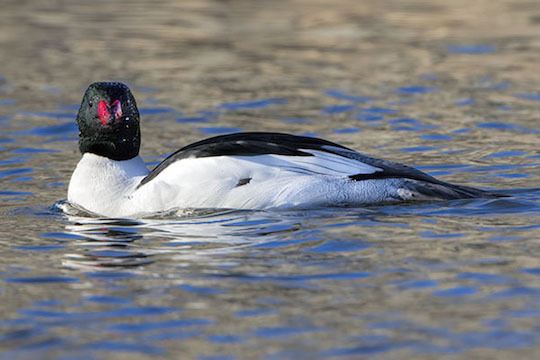 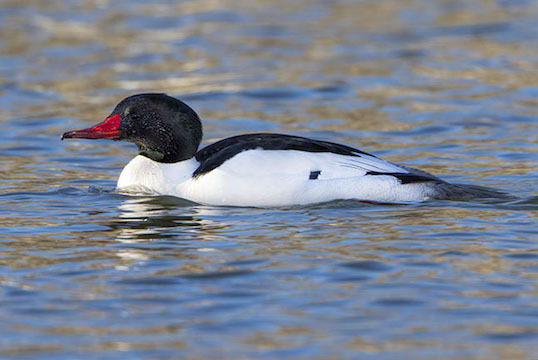 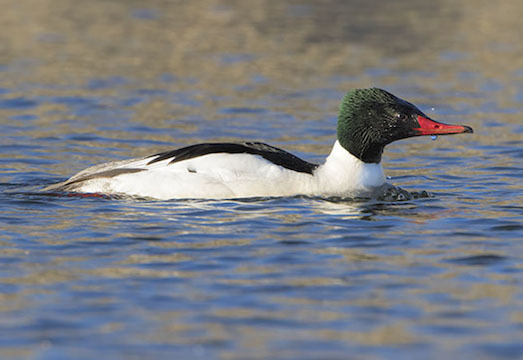 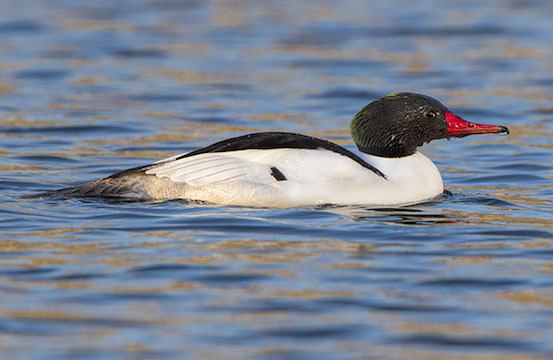 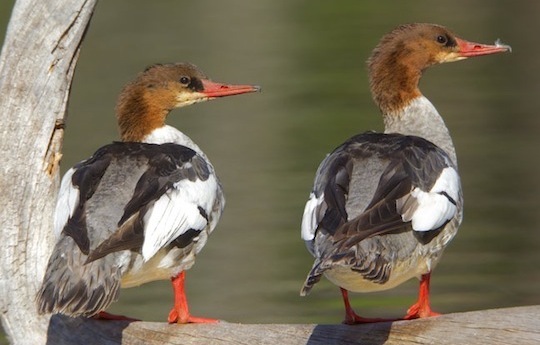 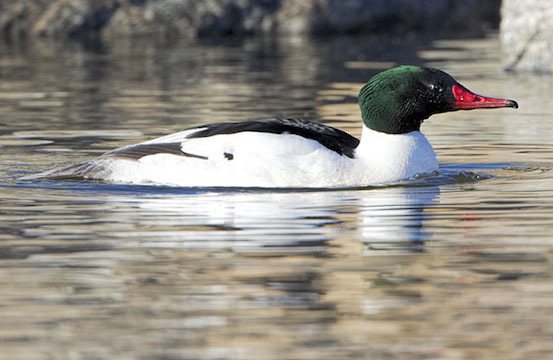 Common mergansers -- black-and-white males, gray and rusty females -- are unusual ducks specialized for fish-eating, with thin serrated bills for holding slippery prey. 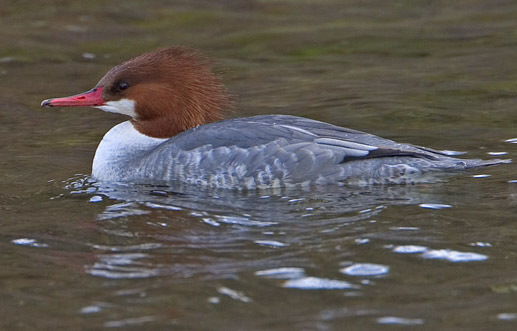 They are normally quite shy, spending the winter mainly on rivers, lakes, and streams. 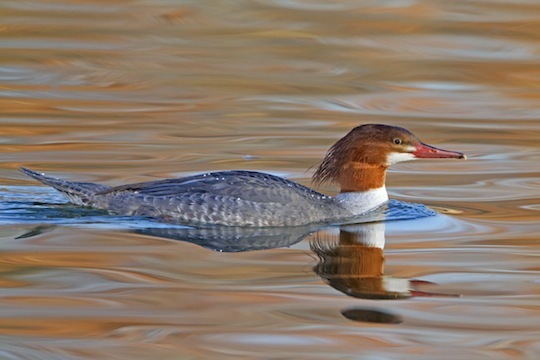 They often cruise rapidly with their faces underwater, looking for fish (as in one photo below.). 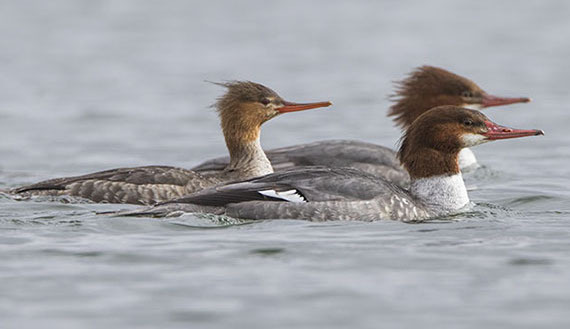 Females can be told from female red-breasted mergansers by their sharply delineated white chins (easily seen here). 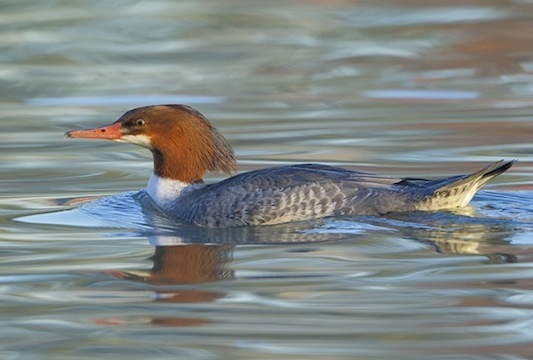 These were photographed in Riverside, the Big Sur River, and Lake Perris in California, and in Yellowstone Park, Wyoming. 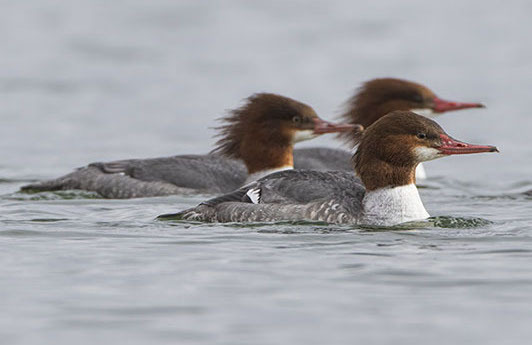 One photo (below) shows a red-breasted merganser in a group of common mergansers.